Is Pseudoscience Fiction a genre? 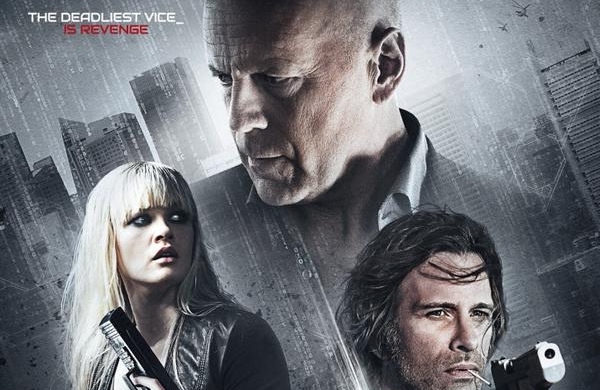 I’m not entirely sure what kind of film Vice was trying to be, but apparently it didn’t try very hard. This Westworld inspired thriller presents us with some fairly heavyweight themes and then fails to make any kind of attempt at tackling them. A rather weak and low budget opening, as well as an interminably long opening credit sequence - in which we are subjected to the first of many pieces of clumsy exposition - set up the premise of there existing a resort populated with artificial intelligence where people can indulge in their most debauched fantasies. It is a morosely cynical vision of the near future that might have packed more punch if the writing had not been so derivative. There have been many smaller budget science fiction films concerned with AI in the past year that have managed to deliver a quality experience which makes Vice all the more disappointing. The Machine  was a brilliant homage to 1980s sci-fis like Bladerunner, and the Antonio Banderas movie Automata  managed to give the well-worn material a fresh new feel. Vice however, never manages to assert its own identity and instead feels more like a second rate rip-off than anything else. This film is no doubt relying on the pulling power of its two leads. 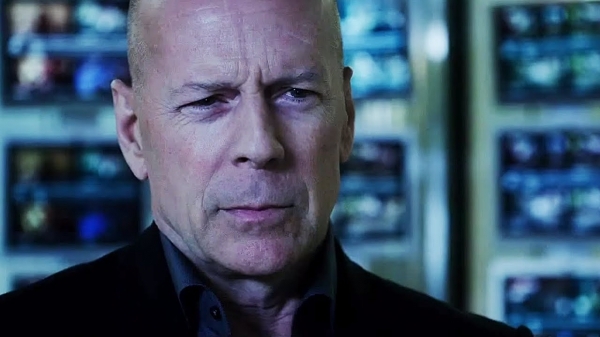 A-lister Bruce Willis phones in another performance, although admittedly he had very little to work with. His plays a very one dimensional villain who becomes more and more cartoon-ish as the film progresses even though Willis never really injects any energy into the role. But who could blame him? Thomas Janes, an actor I’ve always thought deserved more, is slightly more engaging as the dispirited detective who masks his heart behind a wall of crass abrasiveness. But even in his performance you can sense that he holds little optimism for the success of this movie. He is given some slightly more entertaining dialogue but the film generally takes itself far too seriously to give the actors much room to play off one another. Ambyr Childers makes a strong start in what is one of her first leading roles. Her character is initially quite mysterious and she plays this exceptionally well; attracting our sympathy and affection in her earliest scenes. Unfortunately she does struggle however in the final act of the movie, although the make up department and screenwriter do owe her at least half an apology here. Her character also undergoes some pretty traumatic experiences but the script never allows her an opportunity to explore any of the reactions you might have reasonably expected. This is one of the main reasons the film fails so badly. Poor script and laboured performances aside, the directing is actually quite competent. There is nothing special and the action sequences are immediately forgettable but the cinematography and camera work is actually well above the standard of most low budget films in the same vein as this one. There are a few plot holes but the film is sequenced in a generally coherent manner that doesn’t ever totally shatter the illusion of reality. My interest was already waning before the midway mark but the final act of this film is incomprehensibly daft and inane, which makes for an exceptionally poor reward for anyone who persevered with it. Vice relies too entirely on cliches and familiar plot devices. It never tries to reach beyond the constraints of its limited budget with special effects or stunt work but I can’t help but feel they missed a trick by abandoning the core themes that I thought were at the heart of the film. If it was going to have any chance of doing or saying anything new then it should have made a stab at dealing with the concept of attaining self awareness after nights of repeated abuse and torture. It skirts around this in such a weak and clumsy manner that you lose all inclination towards forgiving this film for its other faults. Vice has nothing intelligent to say and nothing entertaining to show. There is an interesting, if unoriginal, idea in here - but it was already handled much better in the short lived TV show Almost Human, where they managed to find some kind of emotional resonance with the audience. This movie is very middle of the road and there is nothing here that I could recommend to any fan of Science Fiction or movies in general.